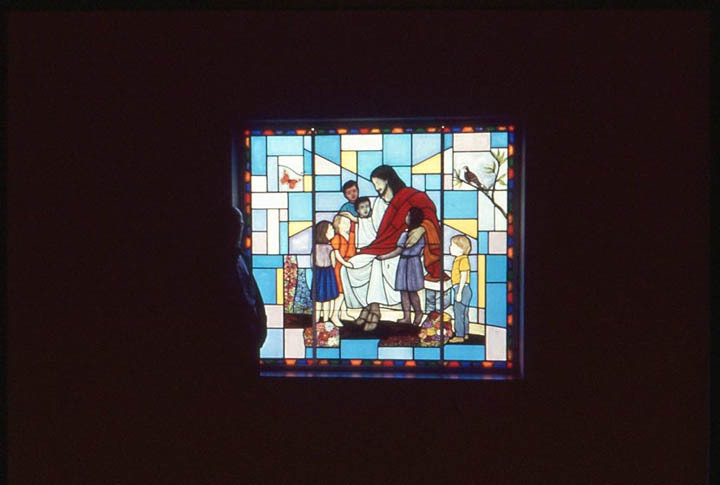 Brief Description of Subject: Rectangular window depicting Our Lord blessing children of various races and both sexes. A butterfly [symbol of resurrection] flies at left. A bird perches on a tree at right. Made by John Vander Burgh, of Zeeland, MI.